The search for survivors was interrupted Monday by another eruption that sent a hot flow of mud, ash and gas down from the volcano. A pyroclastic flow of brown sludge has engulfed the village of El Rodeo, according to Reuters. 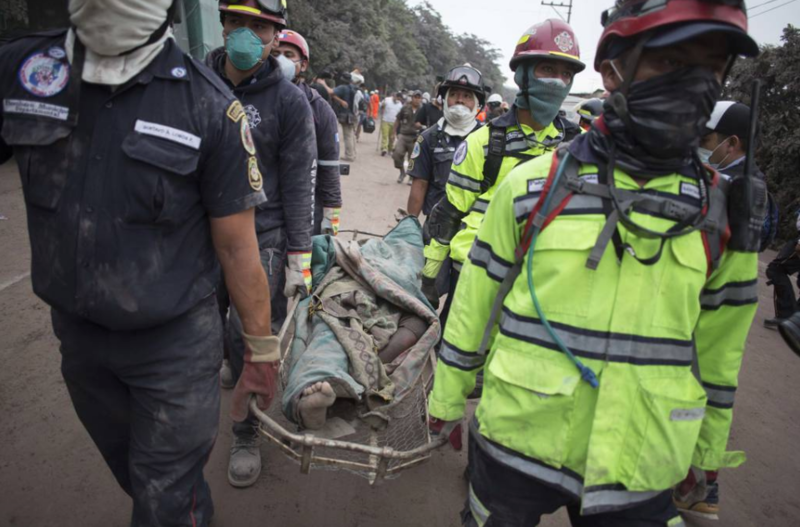 Located less than 30 minutes from sprawling Guatemala City, the volcano erupted just before noon Sunday, June 3. A second powerful eruption followed hours later.